Microneedling therapy, also referred as Skin Needling or Collagen Induction Therapy (CIT), is one of the most innovative and effective treatments available for skin rejuvenation. Microneedling is intended to significantly improve the appearance of acne scars, aging or sun damaged skin, wrinkles and stretch marks. It has also been found to be beneficial in dramatically increasing the absorption of topically applied skin preparations. The concept of microneedling is based on the skin’s natural ability to repair itself whenever it encounters physical damage such as cuts, burns or other abrasions. Immediately after an injury occurs to the skin, the body responds by creating new collagen and elastin fibres as well as other skin components to replace the damaged ones. Microneedling permits the controlled induction of the skin’s self-repair system by creating micro “injuries” beneath the surface of the skin, which triggers new collagen synthesis, yet protects the top layer of the skin and poses no risk of permanent scarring. The result is smoother, firmer and younger-looking skin. Microneedling is performed by a professionally trained medical practitioner using a sterile microneedling device. The procedure is usually completed within 30 to 45 minutes, depending on the required treatment and the area being treated. Before treatment begins, a topical anaesthetic or local block is applied to the skin to ensure a comfortable experience, with minimal pain. After the anaesthetic takes effect, the practitioner gently rolls the device over the skin to puncture the outer layers of the skin and create miniscule subcutaneous injuries. These microscopic puncture wounds stimulate the production new collagen and elastin, a process which may last for up to a year, yet they heal in less than an hour, with no bruising. Following the procedure, the skin will be pink or reddish and flushed in appearance, similar to mild sunburn. You may also experience some skin tightness and a mild sensitivity to touch on the area being treated. This sensation will diminish greatly a few hours after the treatment, and the skin will heal completely within 24 hours. Several days later, there is barely any evidence that the procedure has taken place. Visible signs of skin rejuvenation can be seen just 6 to 8 weeks following the microneedling treatment, and these results can continue in the following months for up to a year. A course of three sessions, at 6- to 8-week intervals, is usually recommended to achieve optimum results; however, immediate improvement is noticeable after just one treatment. Microneedling treatment does not involve injections and therefore allergic reactions and side effects are unlikely. It is minimally invasive, heals rapidly with little or no downtime (maximum 24 hours), and requires only simple after-care. It should be noted, however, that small amounts of pinpoint bleeding in individuals with thin skin may occur and should be considered normal. Microneedling is especially effective for signs of aging such as wrinkles, fine lines and crow’s feet. Because the treatment induces the production of collagen, it can improve the appearance of scars, especially indented acne scars or chicken pox scars. It can also help treat pigmentation issues, including both hyperpigmentation and hypopigmentation. Microneedling can also visibly improve skin radiance, volume and firmness, resulting in smoother, fresher and younger-looking skin. Is microneedling the right treatment for me? Microneedling can be safely performed on all skin colours and types. There is no risk of post-inflammatory hyperpigmentation, as the melanin-producing cells (melanocytes) remain intact during the procedure, as does the overall structure of the skin, and it does not affect the naturally heightened wound healing response in your skin. 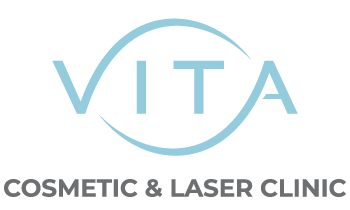 Are there any side effects or risks associated with microneedling? Side effects experienced with microneedling are very minimal and usually subside within 24 hours. They can include some redness, stinging, itching, tightness and slight peeling. Microneedling is a virtually no-risk, natural and effective treatment to improve volume and firmness of the skin and even out skin tone and texture.